Our shoe business meetings have always been over food, tea, coffee, and dessert. 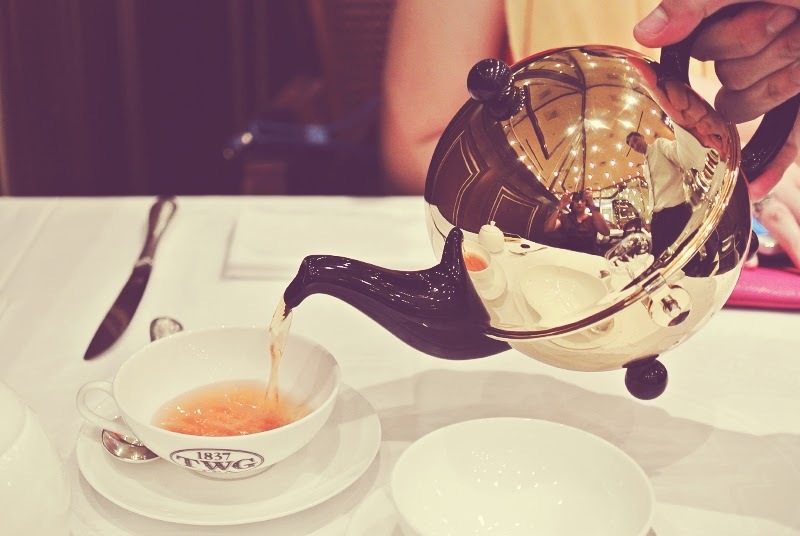 This, at my favourite tea house, TWG (Greenbelt 5) during Mecielo's birthday celebration. So, we named our shoe business OH, LOVE. I created Oh, Love (a blog) in 2012 but bought the domain name and started blogging there only in January this year. That blog was supposed to be a venue where I could feature products I find and love. I rarely blogged there though because I got pretty busy. And then one day, while browsing through my blogs, Mecielo texted me: "I like Oh, Love." Apparently, she found the blog and liked it. I replied: "I included that in the list of names I sent you through email." We were emailing each other possible business names while she was vacationing in the US and I included Oh, Love in it. That was in May. During our focus group discussions last month about our brand name, Oh, Love was one of the top contenders although it didn't get the highest vote. But Mecielo and I are stubborn, so we stuck it out with Oh, Love. We even made an appeal at SEC when the agency disallowed Oh, Love because some companies already have the words OH and LOVE in their business names. Fortunately, after another week of waiting and praying and hoping, SEC finally granted it to us. We are very grateful things are falling into place. We are grateful that we are getting a lot of moral support from family and friends. We are very excited and everyone around us are, too! May God bless your shoe business, Ai :) I am excited to see this venture flourish... I know how you do things with love (and so the name is apt), thus I am sure that everything will fall into place :) Cheers to success!